For new and experienced Assistant Headteachers. Being an Assistant headteacher in the current school environment is very challenging. 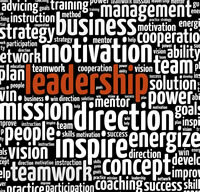 It requires AHTs to possess both first-rate leadership skills, knowledge and the personal qualities needed to be highly effective. Focusing on increasing impact, the course provides an opportunity for AHTs to reflect on their current effectiveness and consider aspects of their leadership and management which could be strengthened. Participants will have the opportunity to reflect on their current practice and consider how it could be strengthened. They will engage in high level professional dialogue that will help them to consider leadership from new angles. They will have a practical tools they can take away and use on a daily basis. They will feel confident to tackle difficult leadership issues. Ideal for new and experienced AHTs. "A well thought out set of concepts to get us thinking. A great opportunity to spend sometime reflecting on our practice. I've learnt a lot today! I feel empowered and motivated to do more, more effectively and armed with 'tools' to make me a better teacher." "Excellent. Thank you for this valuable training." This training is a full day course. It can be purchased as part of a larger AHT development programme by combining it with 1:1 coaching and follow-up sessions. The training is also ideal for groups of AHTs across a range of schools. This training can be delivered in one school or for AHTs across a cluster. Please contact us for a quote as costs vary depending on the number of schools and participants involved.